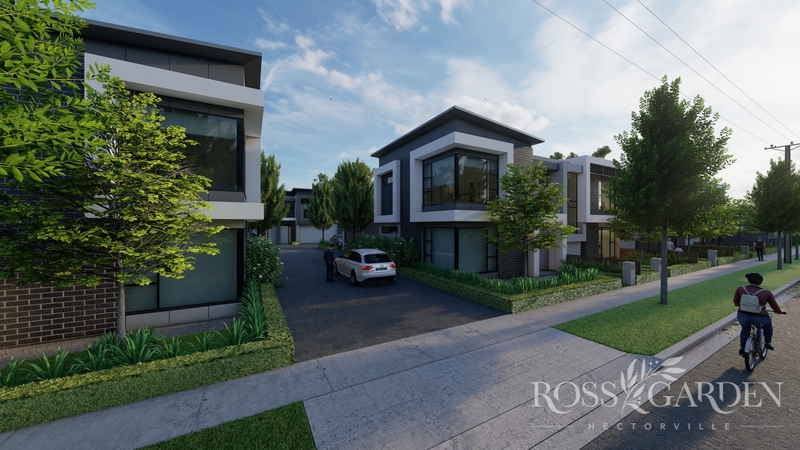 Contemporary modern, these high spec townhouses set the benchmark for off the plan buying in South Australia. The architects brief was to create a lux spec that maintained the ultra-modern finishes & to create an area that maximises space which flows throughout the homes. They have certainly hit the nail on the head with the brief raising the bar far and beyond anything that Hectorville has seen in newly built townhouses. These Townhouses hold the highest level of class equipped with Smeg appliances, smart lighting systems, Caesar stone bench tops, architectural designed sanitary ware, undermount sink, fully integrated dishwasher & not to mention each home has it’s own 2 car garage. Options from 3 or 4 bed, 2.5 to 3.5 bathroom and even the option for 2 master bedrooms, perfect for any downsizer. These homes will catch the attention of a range of different buyers; investors (depreciation schedule available), first home buyers & downsizers. Just minutes from the Adelaide CBD, and located within the following school zones; Campbelltown Primary School, St Josephs primary, Marden Senior College, Charles Campbell College & Walking distance to East Torrens Primary School. The Firle shopping centre is just minutes away and public transport is just metres from your front doorstep. These homes are the perfect combination of convenience living and lifestyle with everything just at your fingertips. We look forward to speaking with you about the project.